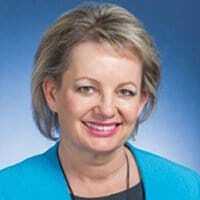 Australian Federal Government Minister For Health, Sussan Ley, has announced the local cultivation of marijuana for medicinal or scientific purposes will be carried out under uniform guidelines across the country. When the Federal Government originally announced its intentions in October to seek parliamentary support for a licensing scheme; at that point states were to be left to decide if they wished to allow cultivation. However, the ALP and the Greens wanted a nationwide scheme. It appears they have had their wish granted; but the decision for a nationally uniform program wasn’t made unilaterally – state and territory governments along with law enforcement agencies were also consulted. The change in approach will free up state government resources and provide consistency. A draft outlining proposed legislative changes will be released to stakeholders from this week. “Allowing controlled cultivation locally will provide the critical “missing piece” for a sustainable legal supply of safe medicinal cannabis products for Australian patients in the future,” said Minister Ley. Things certainly seem to be steaming ahead. Following feedback from all parties involved, legislation to amend Australia’s Narcotic Drugs Act 1967 will be introduced to Parliament in the first sitting period of 2016. Ms. Ley says the government wishes to see the changes passed in a bipartisan fashion as “quickly as possible”. The Tasmanian Government was one of the first to comment on today’s announcement. “While we have yet to see the detail of the proposed new legislation, it appears to be a very significant step towards bringing long-awaited relief for Tasmanian families who treat their loved ones with medicinal cannabis,” said Premier Will Hodgman. In other related news from Australia, a leading addiction specialist has been appointed to the New South Wales state government’s Medicinal Cannabis Advisory Council. Professor Adrian Dunlop will work with the Council to advise the Centre for Medicinal Cannabis Research and Innovation. The first medicinal cannabis trial will occur at Newcastle’s Calvary Mater Hospital early in 2016. Trivia : Once freely available in Australia, in 1926 the Commonwealth Government banned the importation of marijuana. While Australia signed the International Single Convention on Narcotic Drugs in 1961, which still makes availability of cannabis as a medicine obligatory; legislation in most states currently works against this availability.